In this Python Tutorial I show you how to build a simple chat server. All you need to do this are the pre-installed modules: asyncore, asynchat and socket. Thank you very much for all your hard work setting up all the tutorials. So far I have enjoyed every piece of the Python tutorials and I have to say that your ability to cope with many different fields ie. R&D, marketing, health, etc.. is really impressive. You must be gifted. Anyway, I am wondering if you could add the authentication piece to the chat server so the users will have to login and be authenticated against the local passwd file instead of telnet’ing directly into the server with the specified port. There are probably some slight syntax changes on pc’s versus unix systems. Yes you can run two or more chats at once. Can I then use it from 2 different computers? Will you make that tutorial as soon as possible , Will you also use Windows 7? Don’t forget to please use Windows 7. I need to program a script for topics, I will in the form let the admin choose like adding the topic on 11-02-2011. Can you give me a code? I’m a little confused. Do you want the chat system to change the topic on the fly every day? How can i make a chat on my website and let just to people chat. Like facebook (Ex: derek,musti,php,html are online derek needs to chat with musti like php & html can’t see the content of the chat. When are you going to make the tutorial? I’m waiting sorry for asking. Do you have a code or can you program it for me and send it by e-mail? My tutorial That i have asked was Chat script. How can i make a chat on my website and let just to people chat.? When are you going to start?? I hope you will start monday. Thanks. I have many more coming out. Could you post some tutorial on some concepts like decorator,threading etc in python? I second threading (multiprocessing as I think it is called in Python?) as well. I’ll probably need to screw with it myself too. Can u please send me the code, i am having trouble using this. Like i get errors for def, for some reason. Alright, I got a VERY odd error when running this code and I fixed it with an slight alter. I bring it up b/c it causes some really odd things on a Windows XP PC. RAM corruption is probably the best word I have for it. Changed any point where it said session to sessions. I assume this was a typo, but caused some very interesting effects after closing it. That’s very interesting. Python interpreters act differently depending on the OS, computer itself, etc. I normally stick to linux machines and stay away from pcs. It’s kind of a shame that everyone is taught to program on pcs even though most development in the real world is done on linux. No argument there, problem for me is I can’t get Linux to work on my PC. (Wireless won’t work, glitches out and have to delete Linux, etc.) My poor laptop hates Linux, heh. Have you tried using wubi? It installs Ubuntu just like any other application on a PC. Where is it supposed to be getting “session” from? Did you copy the code directly from the site? I just checked it and it worked for me. You get session from asyncore. These are all classes that come with predefined methods and variables. Hi, there is a little misstyping. i want to make my very own service like that..i want to flop there service. How much do you know about programming? I’ll revisit the SMS stuff. I was playing with it a few months back. I don’t take on projects through this site. Everything I do here is to provide a free education on many subjects. I know it sounds crazy, but I don’t do anything to get rich. I will however look into making a Java tutorial on SMS. I have played with it in the past and didn’t have any trouble with it. It is simple to implement, but it is expensive to scale up for hundreds of thousands of potential users. My name is Manley and I have been following your tutorials for sometime now, which by the way have been quite helpful. So thank you :-). Through the ‘print’ command I have narrowed the error to happen at the ‘self.bind((”, port))’ line. Are you able to give me some directions as to what I did wrong? Google is not turning up much for me.. either that or I’m not searching for the right thing :P.
Hi Manley, Sorry I didn’t get to you quicker. I was on vacation. Did you replace all of the back quotes with normal quotes in the code? Did you use the code exactly as I demonstrated and still got the error? I just tested it and it worked. are you there ?? please tell me? 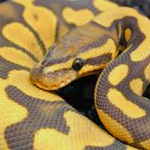 Derek – just finished watching all 18 of your Python tutorials, they were excellent, thank you. I made a comment about a week ago and its still waiting ‘moderation’. Just wondering if you have had time to read it? Hi, I was trying to get your code working however i am having a couple of issues. At first the script didn’t run so I changed the quotes back to normal quotes. It then opened a connection and i was able to telnet in but none off the messages are being sent to any of the clients. Any ideas? Good work on the tutorials btw. Hope to see something with user authentication in the future. You’re very welcome. Sorry about the quote issue. I keep meaning to fix that, but I haven’t had any time. What os are you using? I love your tutorials by the way. They have been very useful! Thanks! Thank u for nice job. get it working. I’m on windows by the way. Thank you 🙂 What problem are you having? Any errors? Welp … I’ve made it through all of your Python 2.X & 3.X videos. I’ve enjoyed and appreciated them. I know that you’re a busy guy, but I do hope that you add additional videos to your Python series. Making GUIs, cool desktop apps, a Python-version of the Java Asteroids game perhaps? In the interim, do you have any online sources or book recommendations for continuing Python education? In one of the Java tutorials’ comments, you mentioned Filthy Rich Clients and that turned out to be an awesome recommendation. You’re very welcome 🙂 I’m glad you enjoyed the Python tutorials. Here are a few books you may like Core Python Applications Programming and Making Games with Python & Pygame. Python is very fun. I’m using windows 7 and I haven’t tried your code yet. I was just wondering that would I able to use this code to send and receive message from computer A to computer B. Or this code will just use same computer with multiple python shels open and sending message to each other in one machine using same ip address. You’ll be able to send between different computers.